The first month of 2016 saw ten times as many refugees arriving in Europe as in January 2015. Each week reports came of boats sinking and people drowning. There could hardly be a clearer symptom of the desperation of Syrians to escape either Syria itself, or her neighboring states, than their determination to brave winter seas to reach Europe. Meanwhile peace talks were adjourned before the parties even entered the same room. So who can blame people for risking everything to escape? The International Rescue Committee has a unique view of the arc of this crisis, since we are both a humanitarian aid agency working inside Syria, in the neighboring states, and on the European transit route in Greece and Serbia, and a refugee resettlement agency in the United States, helping place 10,000 refugees a year. Our 2,000 staff members in Syria endure a daily battle to reach people in need with healthcare, education and cash support. Our 1,500 staff in the neighboring states bear witness to the stories of war, and the trials of holding families together in countries whose compassion has been worn down by fatigue. Our 300 staff in Europe and the Balkans are testimony to the enduring confusion of European governments about how to handle a humanitarian emergency within its own borders. And our 800 staff in US cities can feel the polarizing effects of a political discourse that has become loaded and too often toxic. As each year of the Syrian war has passed, so the options have become worse and the choices more difficult. In 2011, it seemed like an easy thing to predict that President Assad would go the way of President Mubarak, so the cost of saying that he had to go seemed low. In 2012, when he tottered, it seemed possible that the rebels might win without western support, so the safe thing was to wait and see. In 2013, as the refugee flow grew after extended fighting, the rebels splintered and the threat of jihadism taking root in the center and east of Syria tempered calls for activism, despite the use of chemical weapons. In 2014, the fall of Mosul and the rise of Islamic State, or Daesh, meant that there was suddenly a second and complicated front in the war. By 2015, the Russian entry into active combat neutered the debates about no-fly zones or ‘no-bomb zones’ just as the refugee crisis hit. Europe didn’t want to get involved in the Middle East, but the Middle East came to Europe. The London conference on Supporting Syria and the Region took place against this grim backdrop. Its job was to end the fiction that the Syrian war and its accompanying refugee flows were a short-term nuisance requiring temporary humanitarian band aids, and instead recognize the reality that the war is getting more vicious, the battlefield more complex, the political options more difficult, and the prospects for stabilization more distant, with the consequence that the humanitarian effort has to move on to a wholly new footing. This new footing means recognizing that there needs to be a new deal both for refugees in the neighboring states, and for the neighboring states themselves. That new deal says that long-term economic support is essential if states are to do what is necessary and get adult refugees into work and children into schools. By this standard, the conference achieved its goals. UN appeals for immediate funding for food, shelter and healthcare were met, and new aspirations for universal education and mass employment were made possible by new commitments from donors. So credit where it is due, including to the British government: a new standard has been set for strategic humanitarian commitment, balancing economic and social intervention. Now the task begins of turning pledges into action. That may seem hard, but it is the easy part in comparison with three other urgent tasks. The first is for European government to come to terms with what is necessary to deal with the refugees already in Europe and those on the way. Registration needs to be upgraded; status determination speeded up; care increased; and relocation to spread the load across Europe started. Europe’s choice is between disorganized and illegal attempts to reach the continent, and organized and legal routes. Second, there is the question of civilian protection inside Syria. Some 17 million people are still living there. They are under daily threat. 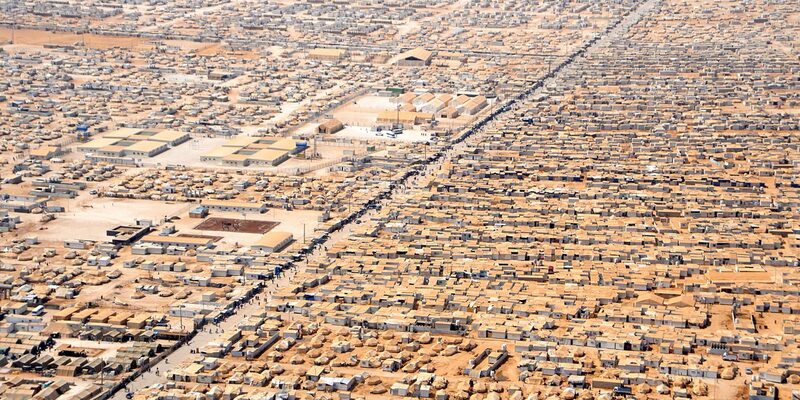 Seven million are displaced and 4.5 million are classified as ‘hard to reach’ by the UN. Another 486,700 are ‘besieged’ – and, at the time of writing, the fate of routes into Aleppo, under Syrian and Russian bombardment, hangs in the balance. The London conference did not crack the issue of how to restrain all parties, but most notably the Syrian government, from breaching the calls in successive UN resolutions for the safe delivery of aid and the protection of civilians. Third, there is the war itself, and the need for progress on the political track. The agenda-setters are now in Moscow. The initiative has passed, at least this week, to Russia. They are creating facts on the ground, and when the facts change, minds change and options change. No wonder western foreign ministries are complaining. And the victims are voiceless. Rarely is humanitarian action so necessary and its limitations so stark. I am incredibly proud of what International Rescue Committee staff members are doing, day in, day out, to change and save lives. I wish I could tell them that help from politics is at hand. This piece was originally published by The World Today. David Miliband is President and CEO, International Rescue Committee.